What Does Global Education Look Like? Below is an interview with Kaitlin Fisher, the new Program Development Associate at Global Weeks. Her journey is that of adventure and searching, one that I can most certainly relate with. I can also say, emphatically, that to have a focus and desire to implement Global Education into your classroom, one does not need to pack up, head overseas, and leave your life behind for a big chunk of time. While that is a wonderful experience, and one that I recommend for everyone at some point in their lives, it is not a necessary experience needed to be able to adequately impart the importance of a global education onto your students. On this final day of 2014, snow falls outside my childhood home in Upstate New York where I’ve spent the holiday season. It’s been ten years since I moved away from this place to begin my journey as an educator, and I remember packing my bags and driving to Warren Wilson College like it was yesterday. As an undergrad, I studied Outdoor Leadership and Psychology. I learned about safely using the wilderness as a classroom, working with ambiguity to turn unplanned events into teachable moments, and perhaps most importantly the necessity of reflection in experiential education – for both students and educators. 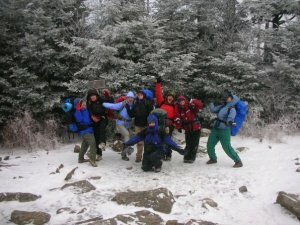 I went on to work for a number of wilderness organizations including the North Carolina Outward Bound School and Eagle’s Nest Foundation, and I loved instructing courses, training staff, and spending days on end in the beautiful mountains of Western North Carolina with incredible students and colleagues. I loved providing opportunities for students to push the limits of their comfort zones and realize their potential outside the constructs of a traditional classroom. My career aspirations expanded when I became the Program Director of the Hante Adventures Program and began planning wilderness programs overseas. I sent students to Spain, Australia, Costa Rica and Ecuador, as well as to domestic locations like Alaska and Utah. I have always had a deep sense of wanderlust and a desire to learn through experiencing other cultures and ways of life, but it wasn’t until I began developing relationships with our partners abroad that I realized I needed to go and experience other parts of the world for myself. When my contract with Eagle’s Nest Foundation ended in 2011, I booked one-way flights to Spain and my husband and I set off on an open-ended adventure of our own. We called it Two Backpacks. One World., and we blogged about our experiences along the way. 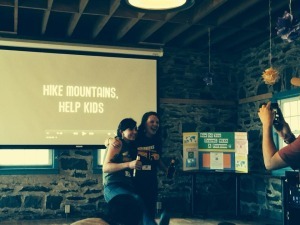 We used a website called Help Exchange to connect with people in need of volunteers, and we moved through twelve countries in Europe, the United Kingdom, Southeast Asia, and the South Pacific over a year by working in exchange for room and board. I met students from around the world who were taking a “gap year,” a completely new concept to me. The more people I spoke with, the more passionate I became about the idea of students taking a gap year between high school and college to expand their worldviews and learn about themselves as citizens of the world. When I moved back to the States and landed in Portland, Oregon, I knew wanted to do global education work, but I wasn’t sure in what capacity. I joined the advisory board of Casa Verde Connects, an organization offering service-based gap year opportunities in rural Nicaragua. A friend told me about SIT Graduate Institute’s Master’s Degree in International Education, and after a conversation with the chair of the department I submitted my application. A few months later, I packed up my belongings once again and moved to Brattleboro, Vermont for the on-campus phase of my degree, where I studied design and evaluation of global education programs, intercultural communication, policy, and strategic planning. I was even able to do a month-long independent study in Guatemala, where a friend and I created a mini-documentary for a volunteer run trekking organization called Quetzaltrekkers that uses profits to support a school that aims to get children off the streets and into the education system. I’m now in the practicum phase of my degree as the Program Development Associate here at Global Weeks. Looking back on the past ten years and looking forward on the year ahead, I know my work will continue to evolve. My pedagogical approach, however, will always be experiential – fostering environments where students can challenge themselves and their perspectives. On this final day of 2014, as another year draws to a close and we set intentions and goals for 2015, I believe it is more important than ever to take time to really reflect. As we become increasingly tethered to devices that connect us to a constant stream of information, it becomes increasingly hard to find time to pause and look inward. May we all make the space to do just that as we move into a new year. Hi Shayna, thanks for referencing Global Weeks and Kaitlin’s post. We’d love to hear more of your thoughts on imparting global education without traveling abroad; that’s a subject I’ve been thinking a lot about lately. Hi Vicki! Sorry I didn’t see this earlier. Interestingly enough, my newest post is on this very thing. I think we could have a great conversation about this over a glass of wine/beer in the near future 😉 Let’s do it!